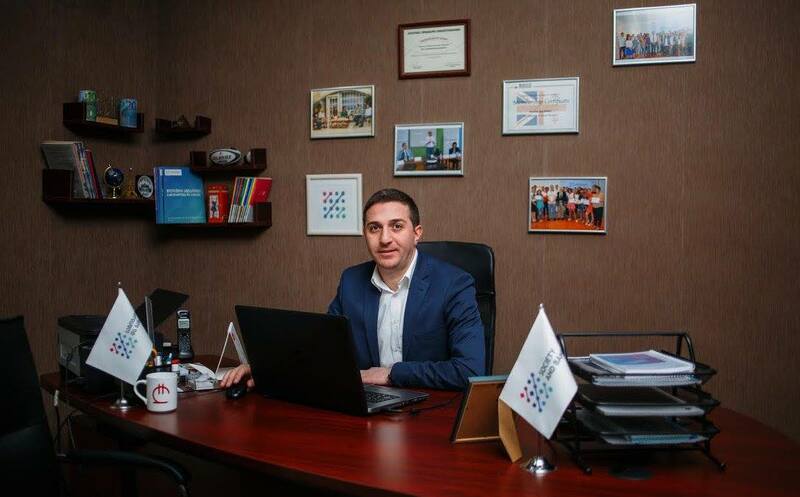 Giorgi Kepuladze is one of the incorporators of "Society and Banks", since december of 2013, he's been appointed on the position of the Chairman of the Board. Giorgi Kepuladze received MA majoring in International Law and International Relations, at Ivane Javakhishvili Tbilisi State University. Since 2003, Giorgi has been working for many TV channels, including TV Imedi, Rustavi-2 and Public Broadcaster. From 2009 to 2013, Giorgi was on the position of the deputy director of the Information Center on NATO and EU. Giorgi received diplomas and certificates in different international workshops and conferences, and he is the Knight of the Order of Honour. Ana Berishvili graduated from the Faculty of Economics and Business of Ivane Javakhishvili Tbilisi State University. He worked as a Marketing Manager in Radio Hereti. He worked as a Cashier-Operator in Bank of Georgia. Ana graduated from the management academy and IREX's long-term training in "Media Sales". It works in "Society and Banks" since February 2014. 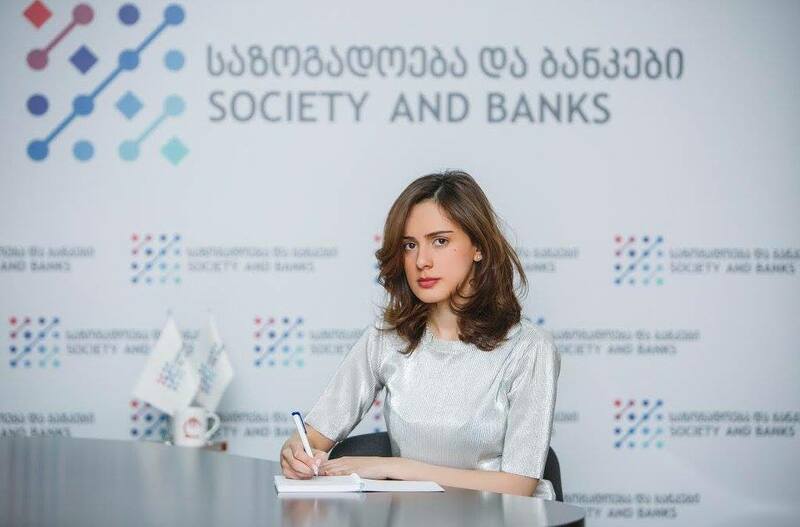 Ani joined the team of "Society and Banks" from February of 2016. Earlier she was working for the Bank Republic in the field of Credit Officer, Procesing service manager and Branch Manager. Ani has ten years of experience in the banking sector. Ani graduated from Ivane Javakhisvhili Tbilisi State University majoring in German Language and Literature. She recevied a certificate of language competence from Goethe Institute. 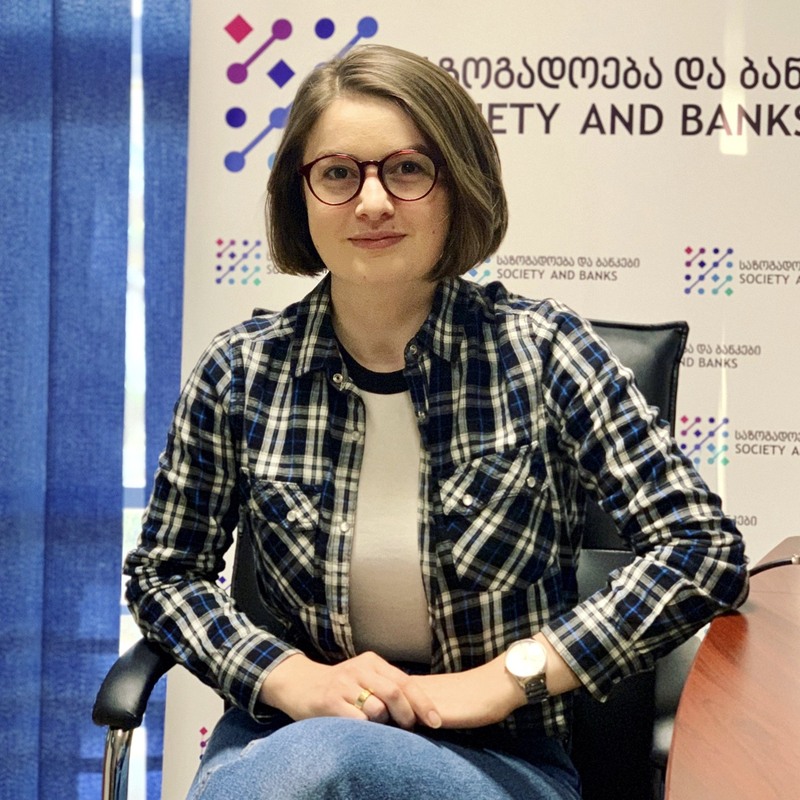 Tatia works on the position of the PR Manager of "Society and Banks" from May of 2017. In 2013 she worked as a journalist in the Georgian Public Broadcaster. In 2016-2017 she worked at Iberia TV. Tatia graduated Caucasus University Media School. In order to improve qualification, in 2016 she graduated "PR School" of the Georgian-American University. 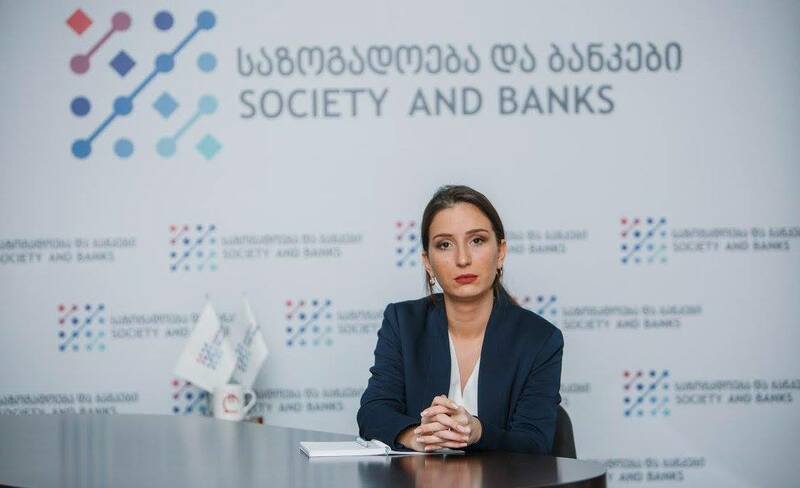 Tatuli Dushuashvili joined the team of “society and banks” from November of 2018. Tatuli received a master's degreee from ISET international school of economics. Since 2013, she is delivering lectures at economics and statistics in different universities. She has work experience in international and public sectors. She worked at the Ministry of Environmental protection and agriculture of Georgia, National Statistics Office of Georgia, international organization Mercy Corp and at the Research Center of Iliauni Business School. She also participated in various local and international trainings and conferences. Nako Phalavandishvili joined the team of “society and banks” from October of 2018. Nako received bachelor’s degree from ivane javakhishvili Tbilisi state university at the International Economics. Nowadays, she is studying master’s program at the faculty of International Relations at GIPA.